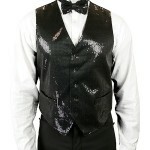 Ignite the night wearing our 2-piece Headliner Vest Set, a sparkling style point to your tuxedo or formal suit. 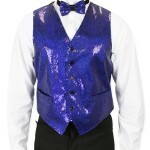 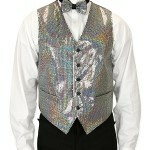 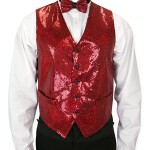 The pointed-front vest is cut without a lapel and sparkles with tiny sequins sewn flat with clear thread. 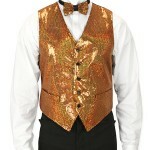 The included matching bow tie pairs up for the total look!